The menu item is available at the Toy Box Café at Shanghai Disneyland. Visitors to Shanghai Disneyland can take a bite out Toy Story’s famous little green men with the Toy Box Café’s Alien Spicy Seafood Pizza, a menu item at the newly opened eatery in Disney•Pixar Toy Story Land. After being greeted by Woody and Jessie at the area’s entrance, guests can dine at the café, which features oversized toy tables and chairs “in Andy’s backyard,” as well as an exterior designed to resemble the packaging Buzz Lightyear, Lotso and Mr. and Mrs. Potato Head once called home. The station offers visitors a mix of traditional and western treats that pay tribute to the film franchise’s popular and beloved characters. 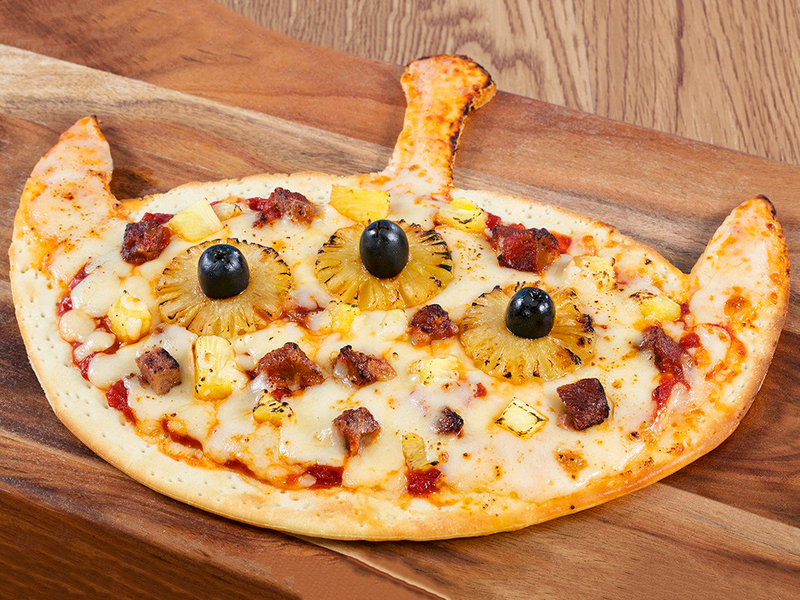 The menu incorporates a variety of tasty dining options such as the aforementioned Alien Spicy Seafood Pizza, which is topped with cheese, pineapple, and black olives, among other ingredients. Each of the toppings is also perfectly arranged on an alien head-shaped crust to look like the face of a squeeze toy green alien, otherwise known in the film as “the little green men.” A baked sweet potato with marshmallow and a bubble waffle with strawberry ice cream—inspired by the signature strawberry scent of Toy Story 3 villain Lots-O-Huggin’ teddy bear—is also available. The cafe is the first part of an expansion of Shanghai Disney Resort, which includes a toy box inspired adventure through Andy’s backyard, and might be a clue as to what could be coming to its U.S. counterpart, Woody’s Lunch Box. Planned for the Disney World Resort, the grand opening of the Florida park’s version of Toy Story Land and its cafe at Disney’s Hollywood Studios is expected to take place sometime this summer as part of an “Incredible Summer” slate. The seasonal premiere of events will feature new Guardians of the Galaxy and Incredibles-themed attractions in honor of the Incredibles 2 release on June 15. While the menu for Woody’s Lunch Box has yet to be released, it wouldn’t be too surprising to see Disney open the lunch box with a similar collection of character-inspired dining options.